There is a growing realization that adults should also be vaccinated as well. Among various vaccinations for adults, the influenza vaccination is almost mandatory at this time of year when the seasons are changing. When is, then, the right time for adults to be vaccinated against influenza, which can easily cause flu? According to the Korea Centers for Disease Control and Prevention, the flu epidemic in Korea is usually from December to April, and the recommended period of vaccination is between October and December. It takes approximately two weeks for the antibody to be formed in our body after vaccination, and it is known that the immunity effect persists for around 6 months, varying by individual. In addition to the preventive effect against flu, however, a recent study found that the flu vaccination can also prevent acute myocardial infarction. In a paper published in the British Journal of Medicine's online journal, Heart, Professor Anita E. Heywood and her team from the School of Public Health and Community Medicine at the University of New South Wales in Australia found that adults receiving the influenza vaccination had a 29 percent lower incidence of acute myocardial infarction than those who did not receive the vaccine. The figure is similar to the prevalence rates of smoking cessation, antihyperlipidemics, and antihypertensive agents. Influenza infection promotes blood clotting, increasing the incidence of acute myocardial infarction, the researchers explained, and vaccination can reduce this risk. 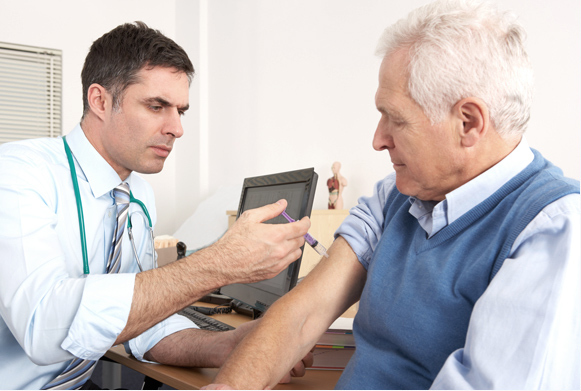 To investigate the association between influenza vaccination and reduced risk of acute myocardial infarction, the team conducted systematic literature review and in-depth analysis of 16 patient-control studies. 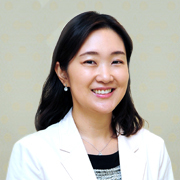 Prof. Shin Jin Young from Family Medicine said, "Although all people older than 6 months of age are subject to flu vaccination and should be vaccinated once a year, the actual inoculation rate is low." "It is recommended that people with a high risk of acute myocardial infarction, especially those who are over 50 years of age or have chronic illnesses, should receive flu vaccination regularly,” she advised. Make sure you are in a healthy state on the day of vaccination. If you have a chronic illness or symptoms that you are currently suffering from before your inoculation, be sure to tell your healthcare provider about it. After inoculation, it is advisable to stay in the hospital for about 30 minutes to observe the occurrence of acute adverse reactions. On the day of vaccination, rest your body and do not make yourself tired; monitor your body condition carefully for at least 3 days after inoculation. The Inoculation spot may hurt or turn red or swollen due to a mild adverse reaction after vaccination, but usually these symptoms occur right after vaccination and disappear within 1-2 days in most cases. If you have high blood pressure, difficulty in breathing, urticaria, or dizziness after vaccination, consult with a doctor immediately.